If you haven’t checked out a good yard sale, garage sale or antique mall*, you simply haven’t lived, darling. Savvy bargainistas know that one woman’s junque is another’s treasure, and that you can rack up on some serious deals for your home and wardrobe. Want “blue-blood style on a blue-collar budget”? Then you need to read this. 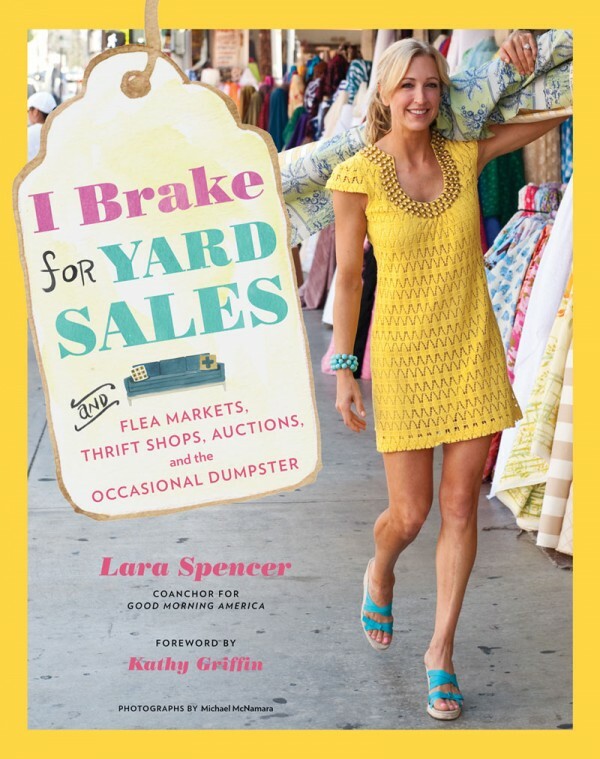 Good Morning America coanchor Lara Spencer gives readers the scoop on navigating auctions, estate sales, thrift stores, flea markets and the like with her new book I Brake for Yard Sales. Spencer is an experienced bargain shopper and moonlights as an interior designer and antiques dealer; she even redecorated Kathy Griffin’s California pad. So, what do you need to get started? A good eye, patience, and a plan. Spencer’s book is an informative resource to help you hone your high wattage taste and identify how to salvage those much-loved treasures. 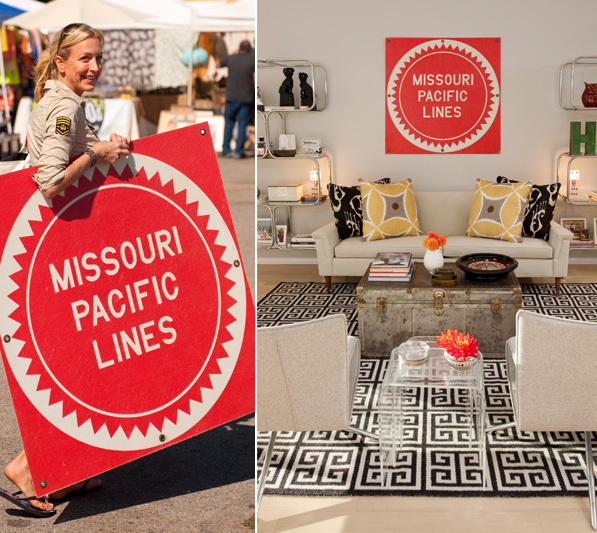 She includes helpful hints such as estate sale etiquette, the do’s and don’ts of haggling, insights from fellow flea marketer Jonathan Adler, and designers to look for during your search. Ready to hit the sales? Check out estatesales.net for listings in your area. And locally, I’ve found great deals at Hanna Antiques (jewelry AND furniture!). *I draw the line at dumpster diving. But to each her own. Have you entered our HAUTE H&M Giveaway? What are you waiting for? We saw her on tv last week. She does her thing with the sales!